Clan =KRH= fights against cheaters with shared banlists! Clan =KRH= continuosly works on it that our players can play with other fair players on our cheater free servers. If you are new with this plugin, then I can share you a complete, working and configured banlist.xml file, you can download it from here. After the download you have to edit it for your own. Thanks the help for Serge from Cats and Dogs clan, respect. In the last weeks, the website engine was updated thanks to Six and Chipotle. It was a hard work, but the essential things are ready. I hope you are going to like the new look, but don't think the work is over: new features are going to arrive soon! =KRH= 2015 1vs1 Tournament Winner! We have a winner: Rocket! He played awesome matches and hunted bunny's like a king! We can proudly announce him as the winner of the first =KRH= 1vs1 Tournament! I want to thank everyone who made it possible to organize this event! I hope you all had some fun and maybe until next year! New IP for all service: website and game servers moved!!! Dearest Members, Admins, Players and Visitors! I hope this will positively influence the pings. Due to the lack of my skills and time I would like to ask for some help about our servers and software background. I don't ask for money, but only your knowledge and time. Special offer for Donation senders! Since we released some maps, and we still plan to release more, we have the following special offer for former Donation senders, and new Donation senders: if you send me a picture (good quality is suggested), then I can put it on the next maps. The offer is because you help(ed) us, so we can help you back, maybe you have an own venture (enterprise) and would like to advertise it. Donations are possible via Paypal or money transfer, I still didn't find international solution to donate by SMS or phone call. We plan to replace in this year our virtual hoster machine. Second special possibility for donation: there is the chance to order =KRH= fan mug. The artwork is the nice work of =KRH=Marri, thank you again! Before releasing the price, we have to know how many pieces could be ordered. If you would like to have one, please let me know! 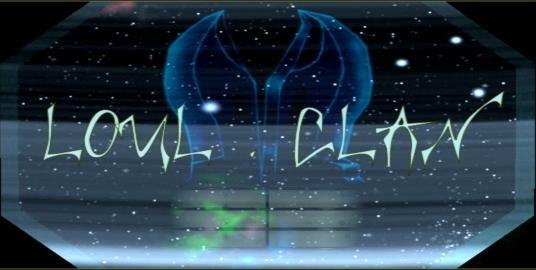 Clan =KRH= and clan [KzH] are different clans! Please don't post into the =KRH= Fourm [KzH] related posts (for example unban requests, etc). You can find the [KzH] Forum HERE. The year 2014 has come, time sort the news of the close past & present. We had several clan events, some of them in the chat area of RHD – the cool webradio, thanks to Empireplexx. The other nice new action from Empireplexx was the creation of the very first =KRH= Fun Site! Over the whole year (as before) we could watch the nice design works from Marri – on the website and everywhere else. In the last time thanks to Cl1cl1c and Bazinga we have finally managed clan events and we have a chance to take part in a CTF Tournament! And we can’t forget the help of the hard-working cheater catchers and demo viewers: Cthulhu, mini_killer, PiPi, Cl1cl1c, Milan… and many others, sorry if I forgot to mention anyone! Thank you for your great work & many-many help and wish you all a healthy, lucky and pleasant New Year in 2014! Dear =KRH= Members and Players! We would like to proudly announce that our friendly clan [KzH] prepared a tournament - It will be an all weapon 1vs1 TS Tournament. This Tournament is in September 2013 and you can read the details and basic rules when you CLICK HERE! Everyone is allowed to join, more players -> more fun! CLICK HERE if you would like to participate and register yourself, then you can do it with starting a New Topic with your name in the subject field (as you can see it there). Registration is closed on the 20. August! Have fun and win it!